I—like many people—am guilty of traveling the world but missing sights right in my own backyard. 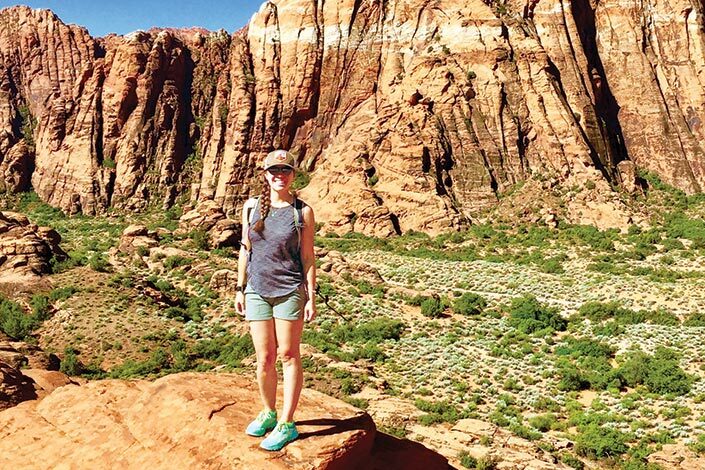 I’ve never hiked to Timpanogos Cave or peered down into Kennecott Copper Mine, and until a few weeks ago, I’d never vacationed in St. George. Growing up, St. George was a pass-thru point on the way to Vegas—not a destination. But this month I drove four and a half hours (Thanks to 80mph speed limits.) to this southern Utah town for a weekend of outdoor adventure in Snow Canyon State Park and spacationing at Red Mountain Resort. Read all about it on page 10. You’ll also find straycation stories on biking in Boise, touring Utah’s newest national monument, and a guide to the year’s best travel gear. Get extra content online at sportsguidemag.com, and follow our summer adventures on Instagram @sportsguidemag.